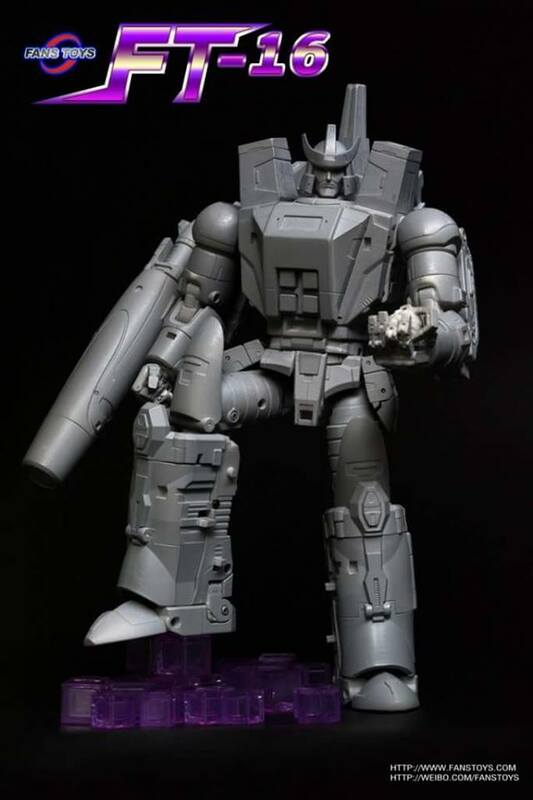 Another update from third party company Fans Toys tonight as we get a look at their take on a Masterpiece-style Galvatron! 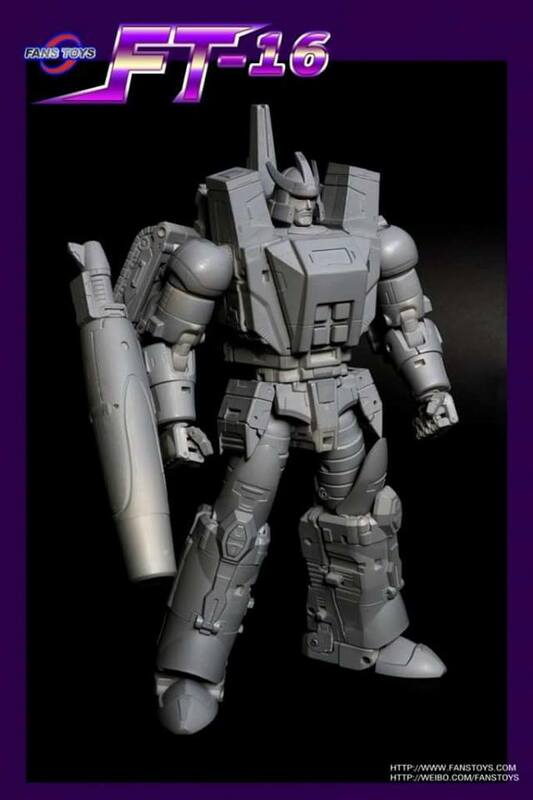 In tandem with the announcement of FT-17 Hoodlum, we have pics of FT-16 Sovereign as an early grey resin prototype. Like the animation model, Sovereign looks quite strong but not too beefy. 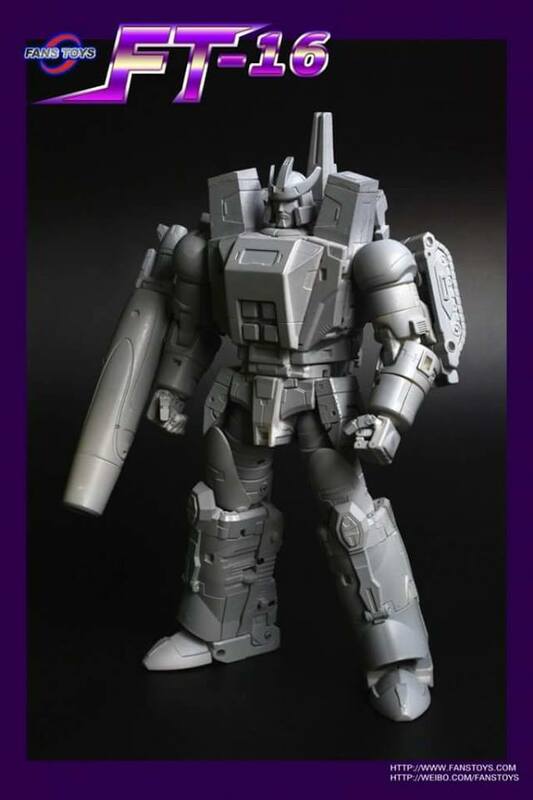 He’ll also come with an extra “angry face” and what appears to be a Matrix of Leadership of his own. 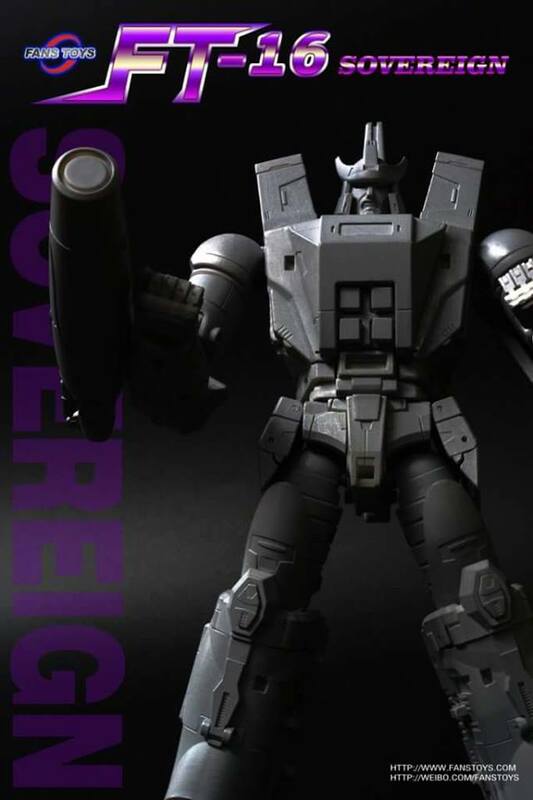 We don’t have a look at his cannon mode yet, but one shot does set him between very familiar silhouettes shaped like his fearsome comrades, Cyclonus and Scourge! No pricing or release date is known at this time, but check back later for that info and be sure to check out the pics and join the discussion after the jump! 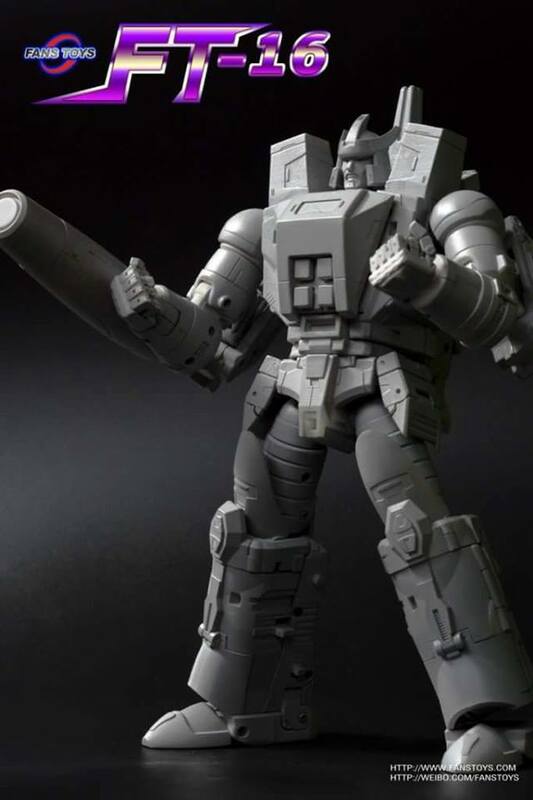 Does anyone know if FT-16 Sovereign will ever get reissued? Deciding if I should buy now or wait for the eventual re-release. TIA. It's been reissued twice and sold out quickly each time so I imagine they'll probably do another sooner or later. Tamiya Purple X-16 seemed to be a pretty decent color match for the small chip that I had missing out of the chest on mine. It's not an exact match, but unless you are closely scrutinizing it, it's close enough. If you have a very large patch missing, you'll probably have to look for another color or try to custom match it yourself. I will try it on a small chip on my Quietus' chest plate. Has anyone ever tried to color match the purple on this guy? I ask because I purchased a new Sovereign recently and it arrived with a chipped chest piece. Contacted the seller and dalianjj and was told that there are no replacement pieces for this. I'd totally take this issue up with the seller. To be honest, I would suspect that it's not new, and that somebody had the matrix on him and it hit the paint repeatedly. His paint is much better than that of Quietus. Same issue here, just a much smaller spot on the chest. I'd love to know a color match as well. I am not a fanboy, but I got those two and I still think Fanstoys is a good company. I fixed Inventa's neck in 15 minutes. You can't fix a frustrating transformation or restore a paintjob back to its factory condition if it gets ruined during transformation or comes already ruined out of the box. If you want to term me a fanboy, that's fine, but the reality is I saw the problem with Inventa as just not being a big deal – certainly not bad enough to offset his qualities. Admittedly, it's easier to be critical of Quietus and Hoodlum when there are perfectly serviceable alternatives available… that you can transform without destroying their paint. Keep in mind, while you're calling me a fanboy, that I had plenty negative to say about MMC's Azalea and, despite warming up to her, I've never changed from my position that FT's Rouge is a better Arcee. And I've never had anything negative to say about Sovereign – I own him and love him. I brought up Quietus and Hoodlum to illustrate that, even though they've done some damn good work, it's not worth to be a fanboy – each release should be individually critically examined. [Edit] Saw this post again today after I made a comment yesterday that I hate Sovereign's hands compared to XTB/KFC hands so I can no longer maintain that I've never had anything negative to say about Sovereign. He's still a fantastic figure though, I love him, and I have no intention of ever replacing him. 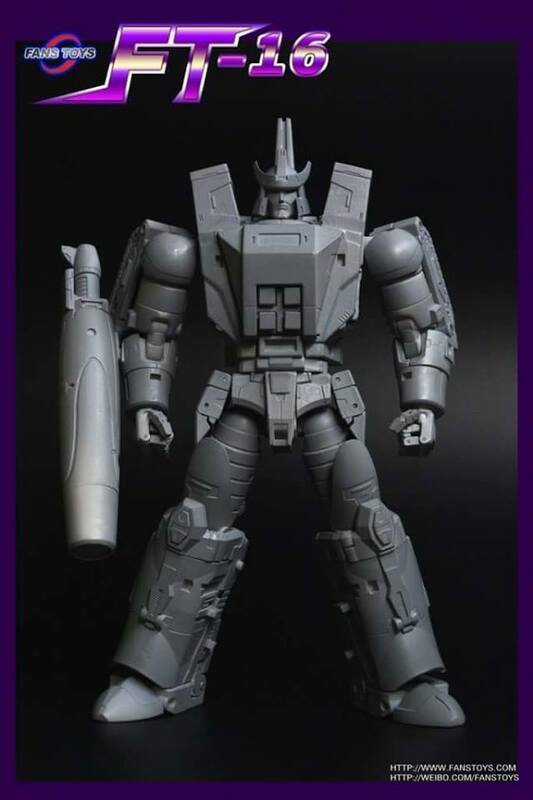 What is wrong with Cyclonus? I have him, and have had no issues with him thus far. 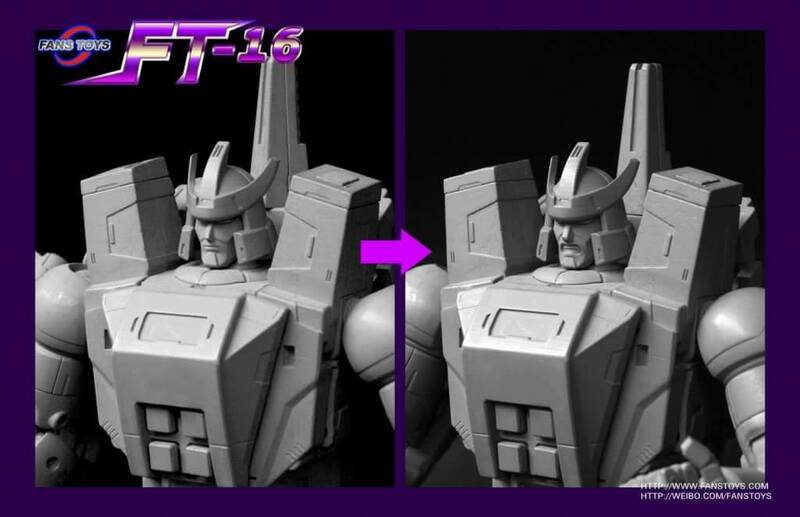 I was referring to the paint chipping issues with Cyclonus and Hot Rod. Hot Rod has been known to come out of the box already chipped. Understood as I have the same issues but my Eligos came out of the box with a broken cockpit and loose knee and my Takara Hot Rod barely stands and had chrome wear immediately on his arms. I guess I have become more tolerant of minor cosmetic issues over the years. I even had the arm of my Soverign rip off out of the box. Damn. With some of the horror stories I hear from people, I'm surprised that I've had such good luck. I've had a Transistor with a backwards part (pinned so that I couldn't flip it and had to get a replacement for the part) and Andras with a nicked face and that's it. Everything else has been fine. Like joint looseness in some of the KOs I've bought but that's easy enough to fix. I definitely won’t though. I know it’s odd to have transformers but never transform them but I am happy to see them be transformed on YouTube and just keep my figure in bot mode. Only figure so far I’ve transformed is Giga Power Guttur…but that’s because he started out in Alt mode. Hey, you don't need to justify yourself! There's no wrong way to enjoy your toys, unless you're going to somehow use them to commit crimes I suppose. If you're never going to transform him you have nothing to worry about. But if you do ever transform him, either unscrew his kneecaps or put something inbetween them and the chest. Love Sovereign. It is the best representation of Galvatron I could ask for. 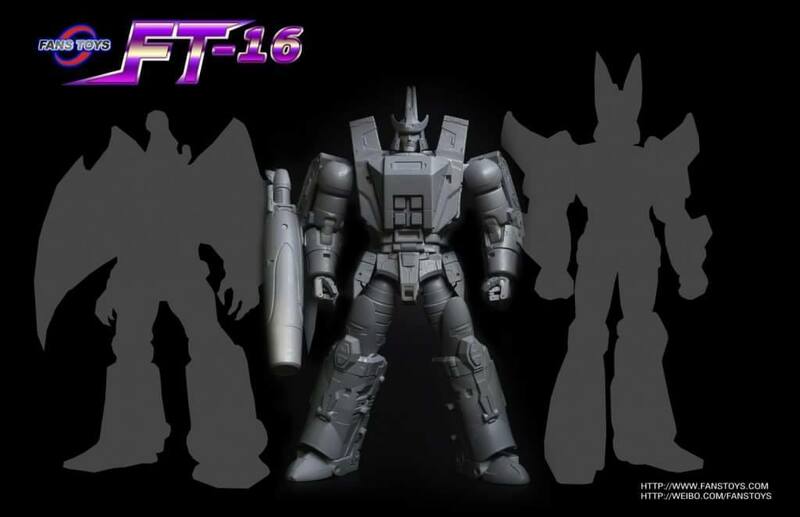 I also have a Quietus/Cyclonus on the way. Wasn’t aware of the chest scratching thing….is it bad? I never would transform him anyways. Strictly a bot guy.